Williams: "For someone to suggest we endorse products going to Mexico is just nonsense." In the statement today, Williams seeks to explain how a health care co-operative would work and says that it is “nonsense” that the union endorses products moving to Mexico. 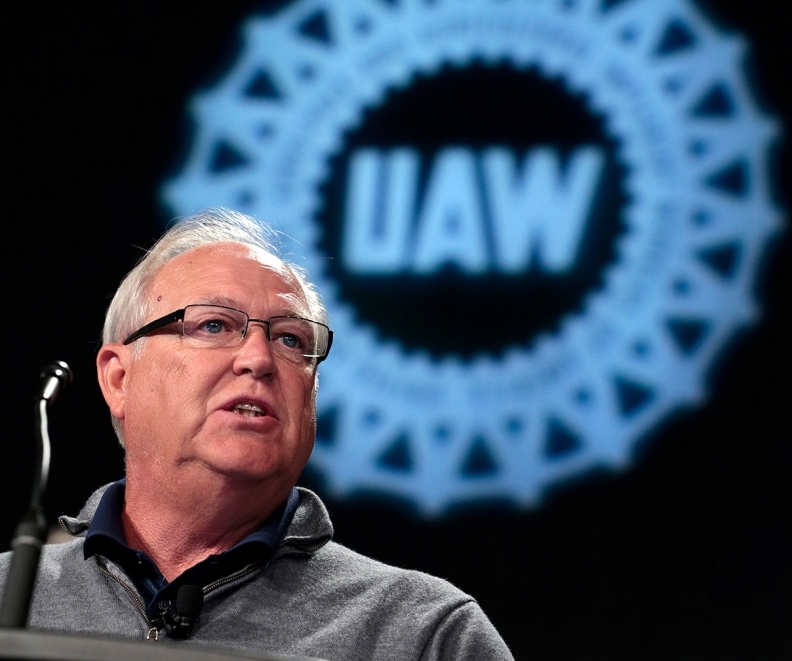 Both of the issues were brought up by local leaders during a marathon meeting with Williams and other UAW international heads at a meeting in Warren, Mich., on Friday, after UAW members rejected a tentative agreement with FCA US by 65 percent to 35 percent. Both the UAW and FCA said they plan to reconvene their bargaining teams to continue talks toward an agreement that will be ratified. It was not clear exactly when formal talks would resume. “We are talking,” Fiat Chrysler spokeswoman Jodi Tinson said in an e-mail to Bloomberg today. She didn’t elaborate. You have spoken and we heard you. We have been listening to your issues and concerns through your local union leadership. We have real challenges. We all know that without investment and product there is no true job security. For someone to suggest we endorse products going to Mexico is just nonsense. We have been fighting NAFTA and other trade agreements every day and are still fighting. We know that health care is a challenge because of the rising cost of medical and pharmaceutical benefits. We have always fought to keep from paying premiums and we will continue to do so. We DO NOT want another VEBA or a Taft-Hartley for active auto members. We believe that healthcare should be provided by the employer. What we do want is to find a way to use our collective numbers and knowledge to be ahead of healthcare inflation rather than to just wait for insurance and pharmaceutical companies to simply hand over a bill to fill their own pockets. That’s why we wanted to create an opportunity to work together, using centers of excellence, giving members a real choice for their families without passing on cost. Finally, outside groups like to stir people up. You, our members need to make decisions based on what’s best for you and your families. No one else has to pay the price of a strike. No one else will lose a paycheck or a home. We met with the UAW-FCA local union leadership at great length and are fighting to address your issues taking everything into consideration with all the challenges. Our responsibility is to you, the membership. We are going to continue to bargain on your behalf. We are also going to tell the whole story. This is a very serious situation. I ask that you get the facts as we continue to address your issues. Over the next several days we will be posting more facts and explanations, hoping to get these facts into your hands. Please keep checking UAW.org and the UAW International Union Facebook page for updates.